If you play guitar, you’ve probably heard the term “intonation.” It’s often used in the context of talking about a guitar’s setup. A setup is a way of fine-tuning the relationship of the guitar’s components, such as the guitar strings, bridge, nut, saddle, neck angle, and with electric guitars, pickups, all to optimize the guitar’s feel and sound. (Think of a tuneup for a car or bicycle.) 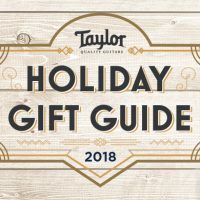 Guitar makers set up their instruments according to their own specifications, and any guitar service technician can easily handle either a basic setup or a more customized setup to suit a seasoned player’s preferences and playing technique. With musical instruments, intonation refers to pitch accuracy—the extent to which the notes formed are in tune, versus being flat or sharp. When a player tunes a guitar using an electronic guitar tuner, they do so by plucking the open (unfretted) strings. However, when a string is fretted, the tension on the string increases, which bends the pitch of the note slightly upward. The effect is subtle, but this change can impact the intonation, in some cases causing “sour” notes and dissonant chords if the guitar’s intonation is not set properly. Often intonation issues are associated with playing higher up the fretboard (closer to the guitar body). Something else to keep in mind is that the closer a string is to the frets, the less it needs to stretch since it doesn’t have as far to go. This means that low action tends to produce more accurate intonation. 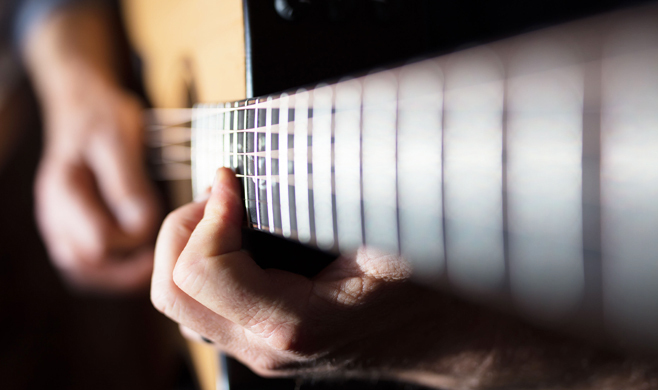 Intonation issues can be subtle or dramatic depending on a guitar’s setup. For guitarists who record or play music live, intonation problems can ruin a recording session or a live performance. 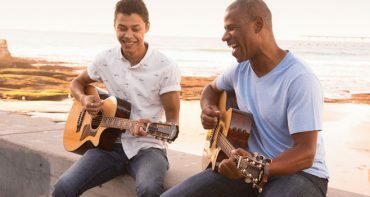 How is acoustic guitar intonation adjusted? While adjusting the acoustic guitar intonation is conceptually the same as an electric guitar, due to certain differences in construction (e.g., different types of saddles) the processes vary in some respects. 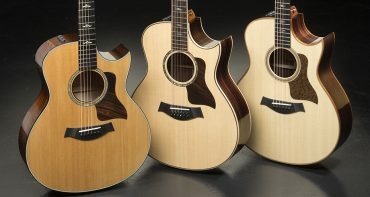 Most acoustic players take their guitars to a qualified guitar technician when they need their intonation adjusted. 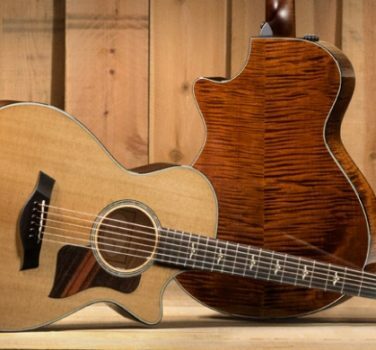 Typically, proper acoustic guitar intonation begins with a full setup, along with a fresh set of strings. 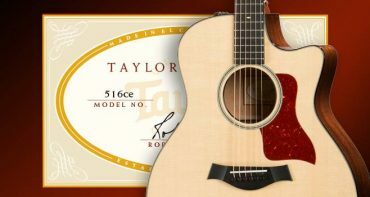 With Taylor guitars, provided there is no fret wear, the setup often solves serious acoustic guitar intonation problems. 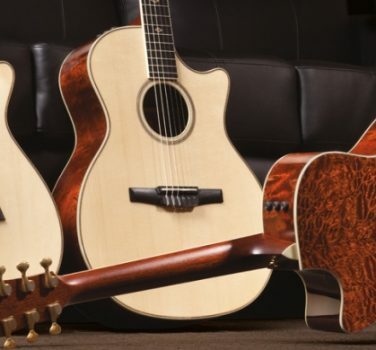 However, many high-level players still appreciate a luthier’s specific attention to intonation, because it will address each player’s style and technique on that particular instrument. The technician will check the guitar’s action (the distance between the strings and the fretboard), as well as the instrument’s neck relief. This refers to the slight bowing intentionally created in the neck to set the action. It can be controlled by tightening or loosening the truss rod, which is located in the neck. Essentially, the technician is trying to get everything right before actually adjusting the acoustic guitar’s intonation. This removes the extra variables and makes it easier to dial in the intonation. From there, they’ll usually address the nut and saddle, where the strings stretch over a piece of bone, plastic or other synthetic material. Most saddles are placed at a slight angle to the bridge, which adds length to the lower strings to adjust for differences in string thickness. Likewise, many saddles are made with compensation points for some or all of the strings, which helps fine-tune those points even more. When addressing a player’s particular style and technique, a skilled guitar technician can cut more accurate notches into the saddle, effectively adjusting the intonation of each string by changing the string’s distance from the nut. The technician will check the pitch of each string at the 12th fret to ensure that it’s in tune with the pitch of the open string. Checking the nut, where the strings rest at the peghead before winding around the tuning machines, is critical. String slots that are cut flat, high-centered, or left too high, along with improper placement of the nut, will prevent a guitar from achieving good intonation. 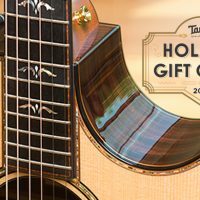 At Taylor, we have the added benefit of our proprietary neck design, which ensures that every guitar is built with proper action and accurate nut and saddle location. 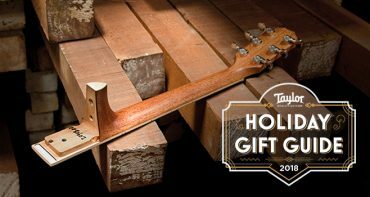 The guitar neck design also makes it easy to adjust the neck angle and allows for setup-related intonation fixes without changing the position of the nut or the saddle. In the end, intonation on a tempered scale instrument can never be perfect. 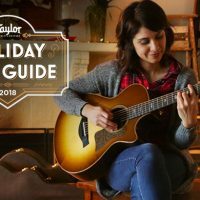 And keep in mind that another factor that can affect acoustic guitar intonation is a person’s playing technique. For example, players with a heavy fretting hand or a beginner might press down harder than necessary on the strings, resulting in notes going sharp. In other words, in a certain player’s hands, even a properly set-up guitar can sound like it’s out of tune. Since there are so many variables, we recommend that players change their strings before consulting a service technician to adjust their intonation, since guitar strings naturally lose some elasticity with time and wear. Otherwise, a technician can find the sweet spot on your guitar that provides the best possible intonation all the way up and down the neck. 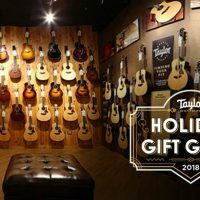 If you have questions about intonating your guitar, check with an authorized Taylor service technician or call our Customer Service department. 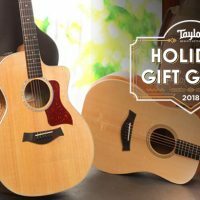 In early 2018, Taylor released a new internal bracing system called V-Class, which dramatically revoices the top of an acoustic guitar. 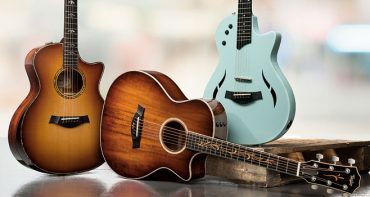 The V-Class design breaks away from the tradition of X-bracing, which for decades has served as the standard voicing architecture inside most steel-string acoustic guitars. The V-Class pattern fundamentally changes the way the top responds to the strings, increasing the stiffness along the center of center of the guitar (in the direction of the strings) to enhance the sustain, while also creating more flexibility across either side of the lower portion of the top to enhance the volume. 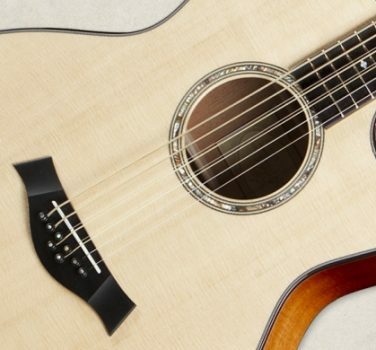 But the design accomplishes another impressive feat: It largely resolves an acoustic guitar’s natural intonation imperfections. What makes this noteworthy is that bracing normally isn’t even associated with intonation; usually intonation issues are addressed along the fretboard, through the guitar’s setup and compensation. But as it turns out, the top movement also plays an important role in the intonation. X-bracing, by virtue of its design, creates disorderly zones of vibration in the top that cause clashing sound waves (think of choppy sea conditions). Basically the vibrating top isn’t completely in sync with the vibrating strings. We experience that chaos as dissonance, the beating or wavering sound that occurs when you play a chord voicing that the acoustic guitar isn’t built to reproduce accurately. V-Class bracing resolves that chaos by creating a more orderly response from the top, which vibrates in more of a side-to-side rocking fashion. Essentially the top is now more in tune with the strings. Without those clashing waves, those slightly dissonant chords sound clearer with more harmonic agreement, and without the sourness that can be heard with certain voicings. Learn more about V-Class bracing and how it solves intonation issues here.